The first week of the US Open has passed and there have already been plenty of talking points at the final Grand Slam of the year. Defending champion Rafael Nadal is absent with a wrist injury, opening up the draw. Nearly all of the main protagonists have survived the first few rounds, while some of the younger generation have announced themselves on the big stage. Novak Djokovic has arguably been the most impressive of the title challengers, disposing of Diego Schwartzman, Paul-Henri Mathieu, Sam Querrey and Philipp Kohlschreiber with the minimum of fuss, and faces Andy Murray in the quarter-finals. The Scot got off to a rocky start and was plagued by cramp for a time against Robin Haase, before eventually prevailing. He found the going much easier against qualifier Matthias Bachinger, before again struggling to put away a so-called ‘lesser’ opponent in Andrey Kuznetsov. He really stepped it up though against Jo-Wilfried Tsonga, displaying the focus and consistency that has won him two Grand Slam titles. In the process, he secured his first top-10 victory since beating Djokovic in July last year to clinch the Wimbledon crown. 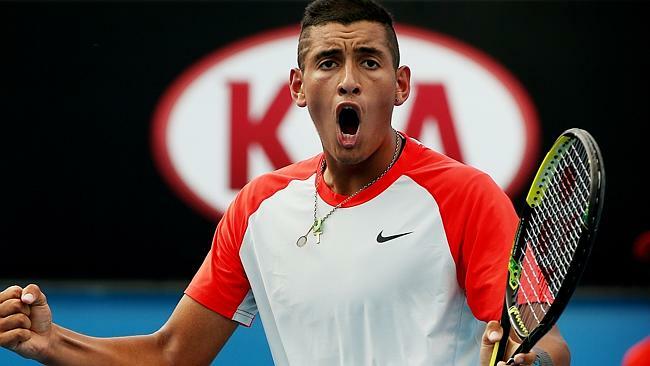 Several young starlets also shone, with Nick Kyrgios, the conqueror of Nadal at Wimbledon, leading the way. He beat the 21stseed Mikhail Youzhny, before seeing off former top-20 player Andreas Seppi. His run came to an end however, when he was beaten by the experienced Tommy Robredo. 17 year-old Borna Coric also made a name for himself, vanquishing 29thseed Lukas Rosol in emphatic fashion, before being brought back down to earth by Victor Estrella Burgos. However, Austrian Dominic Thiem is the player who has really stood out. The world no.45 laid down a marker with a comfortable straight sets win over Lukas Lacko. He then followed this up with possibly the grittiest performance of his fledgling career, coming from two sets down to knock out the 11th seed Ernests Gulbis. It was hard to imagine that things could get any better, but they did, as the 20 year-old thrashed Feliciano Lopez to set up a clash with sixth seed Tomas Berdych. Roger Federer has made characteristically serene progress during the opening rounds, putting away Marinko Matosevic, Sam Groth and Marcel Granollers and will go up against Roberto Bautista Agut for a place in the quarter-finals. The only real surprise elimination so far was that of David Ferrer, who committed 52 unforced errors, allowing Gilles Simon to seal a four-set victory. Marin Cilic will be the Frenchman’s next opponent. The other fourth-round matches saw Kei Nishikori oust Milos Raonic in five sets, with Stanislas Wawrinka beating Robredo. Grigor Dimitrov will go up against Gael Monfils later today. On the women’s side, the Americans were somewhat more successful at their home Grand Slam (although Serena Williams was the only one to reach the fourth round). There have also been a succession of surprise exits, with only two of the top ten seeds still in the draw. Williams looks in no mood to give any of her opponents a sniff, and crushed fellow countrywomen Taylor Townsend, Vania King and Varvara Lepchenko, before overcoming Kaia Kanepi 6-3, 6-3. Eleven Americans made it through to the second round, including Nicole Gibbs, who overcame Caroline Garcia (a player ranked nearly a hundred places above her) and CiCi Bellis. The performances of the 15 year-old, ranked outside the top 1,000 is possibly the story of the championships, after defeating the twelfth seed Dominika Cibulkova with a mature and composed display that belied her tender years. Many ex-professionals have wisely guarded against very young sportspeople being put under a lot of scrutiny and pressure, but if she continues to play like this, money, fame and attention will come flooding her way. Despite this initial success, many of the Americans made it no further in the competition, including Bellis, with surprise losses for Madison Keys and Sloane Stephens (to Aleksandra Krunic and Johanna Larsson respectively). The British contribution has been negligible, with Heather Watson defeated 6-1, 6-1 by Romanian Sorana Cirstea and Johanna Konta outclassed by Shahar Peer, both in the opening round. Petra Kvitova began her campaign promisingly, riding the crest of a wave following her triumph at the All England Club in the summer. She eased through the opening two rounds before falling to Krunic, whose displays are raising eyebrows. Eugenie Bouchard has experienced a tricky spell since her humbling at the hands of the Czech at the SW19 final, but showed impressive resolve to make the fourth round, beating Olga Govortsova, Cirstea and Barbora Zahlavova Strycova. Her challenge was then ended by Ekaterina Makarova. Simona Halep was defeated by Bouchard at the semi-final stage, but could not replicate the form that she has shown throughout the year, which has seen her rise to number two in the world. She was knocked out by Mirjana Lucic-Baroni, who produced some of the best form at a major in years (no mean feat for a 32 year-old with a modest ranking). However, the Croat was stopped in her tracks by diminutive Italian Sara Errani. Victoria Azarenka and Caroline Wozniacki could pose a significant threat in the second week to Williams’chances of retaining her crown, particularly after the Dane’s stunning triumph over Maria Sharapova. Other surprise eliminations have included those of Ana Ivanovic, who was unable to get past Karolina Pliskova, Agnieszka Radwanska (defeated by Chinese Shuai Peng) and Jelena Jankovic, who lost to 17 year-old prodigy Belinda Bencic in the fourth round. Bencic has shown considerable promise on the women’s circuit in 2014 and has really set the bar high with her showing at Flushing Meadows, by which she will be judged from now on. With the likes of Bencic, Wozniacki, Williams and Errani through to the quarter-finals, the draw contains a mixture of title-winners, experienced campaigners and youthful hotshots. The destination of the men’s title is anyone’s guess, with the usual suspects Djokovic and Federer firmly in contention. However, players like Dimitrov, Raonic and Nishikori may soon be good enough to dethrone these men and feel that it is their time to break through. If there is as much drama in the remainder of the tournament as there has been so far, we are in for a treat.